‘You go to a lot of book launches,’ people say to me. It’s true. It’s one of the many wonderful things, all the more so for being totally unexpected, which have come about since I started the Literary Sofa blog. The timing was just right too because my sons were old enough to be left at home without a babysitter (in fact they love it when I go out so they can demolish mountains of Doritos and watch the moronic quiz shows I try to ban). After we met up at the February launch of Claire King’s debut novel The Night Rainbow at Daunt Books in Marylebone High Street (a winning combination all round), two of my bookish friends, Isabel Rogers and Michael Clarke wrote lovely posts about attending their first launch, which made me think back to the first one I went to. Hard to believe it was only a year ago…. I was thrilled back then to receive an invitation to the launch of Lloyd Shepherd’s debut The English Monster, an historical novel based on the 1811 Ratcliffe Highway murders. I’d been sent an advance copy by publishers Simon & Schuster and I loved it. The venue was the famous Prospect of Whitby pub in the dock area of East London where the book is set. There was only one problem: I would not know a single person who was going. Gulp. On the day I went to the hairdresser in the afternoon (because we all know that really helps when you have to talk to people you don’t know who all know each other); I allowed plenty of time to get to Rotherhithe but made the usual mistake of thinking I know where I’m going when in reality I have only the very faintest idea. And so it was that I ended up meandering around for ages in this area I didn’t know, in the dark, with nobody around to ask except for the odd potential axe murderer. By this point I was certainly feeling the macabre atmosphere of Lloyd’s book. I was also desperate for a stiff drink. The upstairs room was noisy and crowded. Armed with my glass of wine yet feeling very vulnerable and conspicuous, I resorted to standing at the edge of the room pretending to look at my phone (which, remember, was so crap I couldn’t even get Google maps). I went out onto the balcony without my coat and drank in the stunning night view of the Thames, shivering. This was ridiculous. I would either make an effort to talk to somebody or slink away as soon as the speeches were over. Suddenly, in a moment, my evening turned around when a handy ice breaker presented itself. I got talking to Lloyd’s agent, who was wrestling with his jacket trying to retrieve an Oyster card that had got stuck in the lining. When others came over to greet Jim, I was introduced, to a literary critic, a publicist, to Lloyd’s editor, and from then on the conversation flowed like wine. I really enjoyed myself. It still touches me to think how kind and friendly those people were and how quickly I went from feeling like an outsider to being part of something I can no longer imagine being without. The book world beckoned and I didn’t turn and run. Most of the launches I’ve attended since are of titles I’ve chosen to feature on the Literary Sofa and a virtuous circle is now in motion. Now it’s often a case of catching up with people I’ve met along the way or have already talked to on Twitter. There seems to be a fairly standard format for book launches, but of course each one is different. 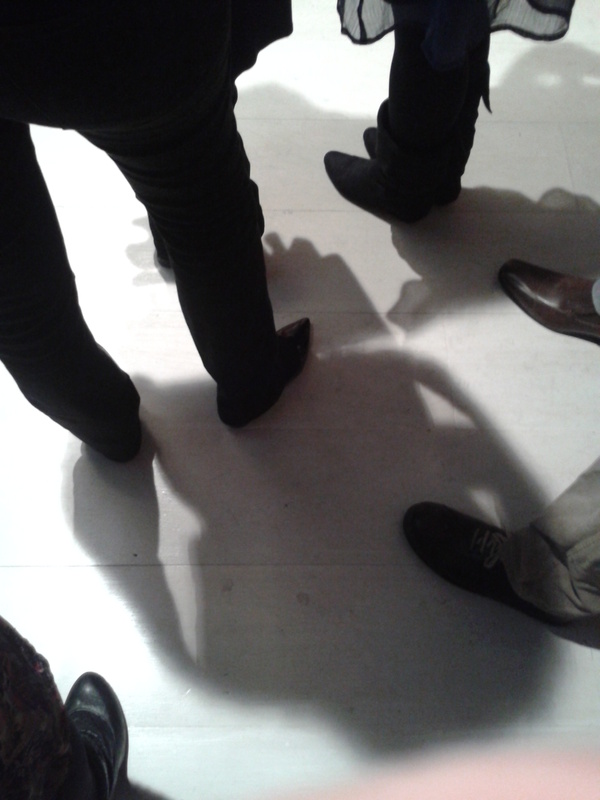 The guests are a mix of people enthusing about the novel and those still in a state of delicious anticipation. Often the author will read from the book, and I’ve never heard a performance that didn’t wow everyone in the room. The editor will talk about the book’s qualities (and indeed the author’s) and why, of the hundreds of manuscripts which cross their desks, they chose to champion that particular one. Later, the delighted writer will sign copies and write dedications until their hand aches as much as their face does from smiling. My favourite part of the official proceedings is hearing the author talk about how their book came to be – the story of the story, if you like. So many individuals play a part in any novel making it this far: parents who encouraged a childhood love of reading; supportive and sometimes long-suffering partners and children; writer friends, early readers and then of course, the professionals, the agent and publisher. There are lots of Thank Yous, but it’s (mercifully) not like the Oscars; these are real people, who’ve often been slaving away unrecognised for years to get to this point, refusing to give up because they love writing. To see someone experience a moment they have longed for is tremendously inspiring, a true cause for celebration and for hope. It makes you want to shout about the book, and all books need that. Last week things got slightly out of hand when I tried to attend two launches on the same evening. (I bet you can guess where this is going.) 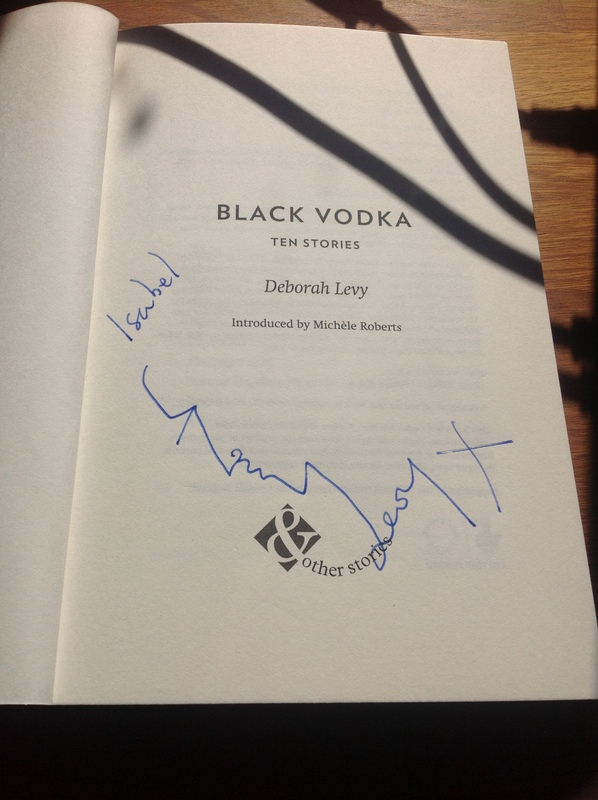 I had a wonderful time at the launch of Deborah Levy’s new collection of stories Black Vodka, held at the appropriately cool and stylish Large Glass gallery on the Caledonian Road north of King’s Cross. Interesting conversation and drinks were plentiful, although personally I couldn’t risk the watermelon vodka (it looked very pretty) but I didn’t hold back on the wine. The evening was another triumph for Deborah Levy and her publishers And Other Stories after her novel Swimming Home was shortlisted for the Man Booker Prize 2012. The passage Deborah chose to read from the title story reflected everything the collection is: humane in its perception, dazzling in its originality and crystalline in its expression. Black Vodka is simply outstanding and Fiona Melrose has captured it perfectly in her review for Writers’ Hub. To my chagrin, I didn’t make it to the second launch that night. I promise you, I tried (there are people I could blame for this, but I’m not going to). What was the one I missed? It was Lloyd Shepherd’s new novel The Poisoned Island. That’s right, barely one year after the first. I think he’s forgiven me…. Have you been to a book launch? If you’re a published author, what does it feel like? And if you’re a fellow hopeful, can you picture yourself up there on the day? These are busy and exciting times on the Literary Sofa. Coming soon in order of appearance: a guest post from New Yorker Karl Taro Greenfeld on his novel-in-stories Triburbia: a review of Life After Life by Kate Atkinson and a guest post by Tracy Chevalier on her novel The Last Runaway. Reading this made me feel that a sort of circle has completed – I went to Jane Rusbridge’s launch for ROOK last summer, courtesy of her generous invitation following a Twitter acquaintanceship, knowing no-one, but encouraged by having read your blog post about the friendliness you had encountered at your first launch. We met there, and now I have my own copy of Lloyd Shepherd’s ‘The Poisoned Island’, thanks to your Twitter raffle. I, like you, am surprised at how quickly one good thing can lead to another. Like you Isabel, I LOVE book events. Living in Scotland, there are not as many launches but plenty of festivals.The best book launches I’ve attended are the ones where I have a personal connection to the writer as it’s great to feel part of the excitement. Of course, I’ve often indulged in fantasising about my own imaginary book launch- who I’d invite, what I’d say etc and it fills me with a mixture of fear and hope that one day it might become a reality. Ironically, although my ‘day job’ involves public speaking to large audiences, I would still be anxious about talking about my writing in public and have yet to achieve the milestone of reading my work aloud. I suspect few writers have not daydreamed about their own launch! If it ever happens, I will get a dress made as that is the ultimate treat. I can definitely recommend reading your work in front of an audience even though I agree the idea is scary. When I did this at Rattle Tales in Brighton I was amazed at the buzz I got from it. BTW bet you’ll be pleased to hear your friend Karen Campbell is going to appear on the Literary Sofa week after next. I must admit, the idea of a book launch fills me with … not quite dread! Actually, I’ve never been to one, so I wonder if my own (if I have one) will be my first? I’m a complete wallflower, so the whole idea of a party for my book and for me is nerve-wracking. I’d rather lurk at the back of the room, listen in to conversations, and not say much! Typical writer? But that might be a bit rude at one’s own “do”. Louise, I bet when the time comes it will be an amazing feeling and you’ll love every minute. So pleased that it’s going to happen for you – that’s more than many of us can be sure of!